The study aimed to evaluate and compare qualitatively and quantitatively phytochemical constituents present in bark, stem and leaves of the medicinal plant Alstonia scholaris. Qualitative phytochemical screening revealed the presence of alkaloids, saponins, terpenoids, flavonoids, phenolic compounds, tannins, steroids, and glycosides in bark, stem and leaf extracts. The glycosides, alkaloids, gums and mucilage were found in higher quantity in bark of A. scholaris as compared to that in stem and leaf. Further, in vitro antioxidant potential of extracts from bark of Alstonia scholaris was also analyzed. Both aqueous and/or methanolic extracts from bark of A. scholaris showed potent total antioxidant activity. At every concentration studied, percentage of superoxide radicals scavenged by aqueous extracts from bark of A. scholaris was higher even than those of standard gallic acid at respective concentrations. Similarly the results of DPPH free radical scavenging assay showed that aqueous extracts from bark of A. scholaris better scavenged free radicals than the methanolic extract from bark of A. scholaris as well as standard Ascorbic acid tested at respective concentrations. 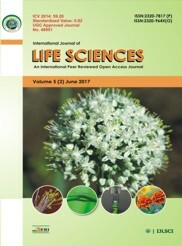 Mistry Dhruti, Parekh Bhavika and Pithawala Meonis (2016) Studies on phytochemical constituents and antioxidant activity of Alstonia scholaris, International J. of Life Sciences, 4 (4): 529-538. Authors are thankful to Mr. Mandeep Mistry for his help in statistical analysis. Antony M, Menon DB, James J, Lipin Dev MS, Arun K and Thankamani V (2011) Phytochemical analysis and antioxidant activity of Alstonia scholaris. Pharmacognosy Journal, 3(26): 13-18. Anurakkun NJ, Bhandari MR and Kawabata J (2007) α-Glucosidase inhibitors from Devil tree (Alstonia scholaris). Food Chemistry, 103(4): 1319–1323. Anushia C, Sampathkumar P and Ramkumar L (2009) Antibacterial and antioxidant activities in Cassia auriculata. Global Journal of Pharmacology, 3(3): 127-130. AOAC (2016) Official methods of analysis, 20th edition, Arlington: Association of Official Analytical Chemists. Arulmozhi S, Mazumder PM, Ashok P and Narayanan LS (2007) In Vitro Anti- oxidant and free radical scavenging activity of Alstonia scholaris Linn. R. Br. Iranian Journal of Pharmacology and Therapeutics, 6(2): 191–196. Arulmozhi S, Mazumder PM, Kangralkar VA, SathiyaNarayanan L and Thakurdesai P (2008) Anti-anxiety activity of Alstonia scholaris Linn. R. Br. Pharmacologyonline, 3: 761–775. Arulmozhi S, Mazumder PM, Lohidasan S and Thakurdesai P (2010) Antidiabetic and anti-hyperlipidemic activity of leaves of Alstonia scholaris Linn. R.Br. European Journal of Integrative Medicine, 2(1): 23–32. Arulmozhi S, Mazumder PM, Sathiyanarayanan L and Thakurdesai PA (2012) Analgesic, anti-inflammatory and anti-ulcerogenic activities of fractions from Alstonia scholaris. Pharmacologia, 3(5): 132–137. Atanassova M, Georgieva S and Ivancheva K (2011) Total phenolic and total flavonoid contents, antioxidant capacity and biological contaminants in medicinal herbs. Journal of the University of Chemical Technology and Metallurgy, 46(1): 81-88. Bandawane D, Juvekar A and Juvekar M (2011) Anti-diabetic and anti-hyperlipidemic effect of Alstonia scholaris Linn. bark in streptozotocin induced diabetic rats. Indian Journal of Pharmaceutical Education and Research, 45(2): 114–120. Bergman M, Varshavsky L, Gottlieb HE and Grossman S (2001) The antioxidant activity of aqueous spinach extract: chemical identification of active fractions. Phytochemistry, 58(1): 143-152. Bhanu P, Chakraborthy GS and Mogha N (2013) Complete Aspects of Alstonia Scholaris. International Journal of PharmTech Research, 5(1): 17-26. Chakraborty S, Mistry D and Pithawala M (2011) Pilot observation on possible ameliorative effect of aqueous extracts from bark of Alstonia scholaris on Bleomycin induced chromosomal damage in in vitro cultured human lymphocytes. Electronic Journal of Pharmacology and Therapy, 4: 9-13. Channa S, Dar A, Ahmed S and Atta-ur-Rahman (2005) Evaluation of Alstonia scholaris leaves for broncho-vasodilatory activity. Journal of Ethnopharmacology, 97(3): 469–476. Djeridane A, Yousfi M, Nadjemi B, Boutassouna D, Stocker P and Vidal N (2006) Antioxidant activity of some Algerian medicinal plants extracts containing phenolic compounds. Food Chemistry, 97(4): 654–660. Ferguson NM (1956) A Text Book of Pharmacognosy, MacMilan Company, New York. Gandhi M and Vinayak VK (1990) Preliminary evaluation of extracts of Alstonia scholaris bark for in vivo antimalarial activity in mice. Journal of Ethnopharmacology, 29(1): 51–57. Govindarajan R, Vijayakumar M and Pushpangadan P (2005) Antioxidant approach to disease management and the role of ‘Rasayana’ herbs of Ayurveda. Journal of Ethnopharmacology, 99(2): 165-178. Gupta RS, Sharma R, Sharma A, Bhatnager AK, Dobhal MP, Joshi YC and Sharma MC (2002) Effect of Alstonia scholaris bark extract on testicular function of Wistar rats. Asian Journal of Andrology, 4(3): 175–178. Gupta U, Chaudhary R and Goyal PK (2010) Post-treatment effects of Alstonia scholaris extract against radiation-induced biochemical alterations in Swiss albino mice. Iranian Journal of Radiation Research, 8(3): 169–177. Gupta U, Jahan S, Chaudhary R and Goyal PK (2008) Amelioration of radiation- induced haematological and biochemical alterations by Alstonia scholaris (a Medicinal Plant) extract. Integrative Cancer Therapy, 7(3): 155–161. Harborne JB (1998) Photochemical Methods - A Guide to Modern Techniques of Plant Analysis, 3rd Edition, Springer Netherlands. Iwo MI, Soemardji AA, Retnoningrum DS and Sukrasno UM (2000) Immuno stimulating effect of pule (Alstonia scholaris L.R. Br., Apocynaceae) bark extracts. Clinical Hemorheology and Microcirculation, 23(2-4): 177–183. Jagetia GC and Baliga MS (2006) Evaluation of anti-cancer activity of the alkaloid fraction of Alstonia scholaris (Sapthaparna) in vitro and in vivo. Phytotherapy Research, 20(2): 103–109. Kamarajan P, Sekar N, Mathuram V and Govindasamy S (1991) Anti-tumor effect of echitamine chloride on methylcholonthrene induced fibrosarcoma in rats. Biochemistry International, 25(3): 491–498. Karawya MS, Ammar NM, Hifnawy MS, Al-okbi SY, Doha AM and El-Anssary AA (2010) Phytochemical study and evaluation of the anti-inflammatory activity of some medicinal plants growing in Egypt. Medical Journal of Islamic World Academy of Sciences, 18(4): 139–150. Keawpradub N, Houghton PJ, Eno-Amooquaye E and Burke PJ (1997) Activity of extracts and alkaloids of Thai Alstonia species against human lung cancer cell lines. Planta Medica, 63(2): 97–101. Keawpradub N, KirbyKirby GC, Steele JCP and Houghto PJ (1999) Antiplasmodial activity of extracts and alkaloids of three Alstonia species from Thailand. Planta Medica, 65(8): 690–694. Kulkarni MP and Juvekar AR (2009) Effect of Alstonia scholaris (Linn.) R. Br. on stress and cognition in mice. Indian Journal of Experimental Biology, 47(1): 47–52. Kumar A, Kaur R and Arora S (2010) Free radical scavenging potential of some Indian medicinal plants. Journal of Medicinal Plants Research, 4(19): 2034–2042. Lin SC, Lin CC, Lin YH, Supriyatna S and Pan SL (1996) The protective effect of Alstonia scholaris R. Br. on hepatotoxin-induced acute liver damage. The American Journal of Chinese Medicine, 24(2): 153–164. Mann A, Barnabas BB and Daniel II (2010) The effects of methanolic extracts of Anogeissus leiocarpus and Terminalia avicenniodes on the growth of some food borne-microorganisms. Australian Journal of Basic and Applied Sciences, 4(12): 6041–6045. Maurya DK and Devasagayam TPA (2011) Role of Radioprotectors in the Inhibition of DNA Damage and Modulation of DNA Repair after Exposure to Gamma-Radiation. In: Prof. Clark Chen. Selected Topics in DNA Repair. InTech; pp: 483 – 496. Meena AK, Nitika G, Jaspreet N, Meena RP and Rao MM (2011) Review on ethnobotany, phytochemical and Pharmacological profile of Alstonia scholaris. International Research Journal of Pharmacy, 2(1): 49-54. Misra CS, Pratyush K, Lipin Dev MS, James J, Veettil AT and Thankamani VA (2011) Comparative study on phytochemical screening and antibacterial activity of roots of Alstonia scholaris with the root, leaves and stem barks. International Journal of Research in Pharmacology and Phytochemistry, 1(2): 77–82. Mosa Q. PHG 322 Practical Course: lab # 2 Quantitative analysis of Glycosides. Pharmacognosy Department, King Saud University, Pp. 1-10. Nadkarni AK (1976) Indian Materia Medica. 3rd Edition, Popular Book Depot, Mumbai, India. Nishikimi M, Appaji N and Yagi K (1972) The occurrence of superoxide anion in the reaction of reduced phenazine methosulfate and molecular oxygen. Biochemical and Biophysical Research Communications, 46(2): 849 – 854. Parker L, Rimbach G and Virgili F (1999) Antioxidant activity and biologic properties of a procyanidin-rich extract from pine (Pinus maritima) bark, pycnogenol. Free Radical Biology and Medicine, 27(5-6): 704-724. Alstonia scholaris bark. Indian Drugs, 36: 463–465. Poornima GN and Ravishankar RV (2008) Evaluation of phytonutrients and vitamin contents in a wild yam, Dioscorea belophylla (Prain) Haines. African Journal of Biotechnology, 8(6): 971–973. Prieto P, Pineda M and Anguilar M (1999) Spectrophotometric quantitation of antioxidant capacity through the formation of a Phosphomolybdenum Complex: Specific application to the determination of vitamin E. Analytical Biochemistry, 269(2): 337 – 341. Ramachandra YL, Ashajyothi C and Padmalatha Rai S (2012) Antioxidant activity of Alstonia scholaris extracts containing flavonoid and phenolic compounds. International Journal of Pharmacy and Pharmaceutical Sciences, 4(3): 424-426. Ranalli A, Contento S, Lucera L, Di Febo M, Marchegiani D and Di Fonzo V (2006) Factors affecting the contents of iridoid oleuropein in olive leaves (Olea europaea L.). Journal of Agricultural and Food Chemistry, 54(2): 434-440. Ravi Shankar K, Ramesh KVRNS and Naveena P (2008) Free radical scavenging activity of the flower and fruit extracts of Alstonia scholaris. Biosciences Biotechnology Research Asia, 5(1): 493–494. Robak J and Marcinkiewicz E (1995) Scavenging of reactive oxygen species as the mechanism of drug action. Polish Journal of Pharmacology, 47(2): 89-98. Sahreen S, Khan MR and Khan RA (2010) Evaluation of antioxidant activities of various solvent extracts of Carissa opaca fruits. Food Chemistry,122(4): 1205 – 1211. Saraswathi V, Ramamoorthy N, Subramaniam S, Mathuram V, Gunasekaran P and Govindasamy S (1998) Inhibition of glycolysis and respiration of sarcoma-180 cells by echitamine chloride. Chemotherapy, 44(3): 198–205. Shah AJ, Gowani SA, Zuberi AJ, Ghayur MN and Gilani AH (2010) Antidiarrhoel and spasmolytic activities of them ethanolic crude extract of Alstonia scholaris L. are mediated through calcium channel blockade. Phytotherapy Research, 24(1): 28–32. Sharma V, Mallick SA and Tiku AK (2010) Anticancer activity of Devil tree (Alstonia scholaris Linn.) leaves on Human cancer cell lines. Indian Journal of Agricultural Biochemistry, 23(1): 63–65. Shimada K, Fujikawa K, Yahara K and Nakamura T (1992) Antioxidative properties of xanthone on the auto oxidation of soybean in cylcodextrin emulsion. Journal of Agricultural and Food Chemistry, 40(6): 945–948. Singh B and Sangwan P (2011) Taxonomy, ethnobotany and antimicrobial activity of Alstonia scholaris (L.) R.Br., Carissa carandas L. and Catharanthus roseus (L.) G. Don. 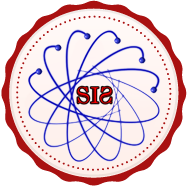 International Journal of Biotechnology and Biosciences, 1(1): 102–112. Singh PK, Kumar Vinod Tiwari RK, Sharma A, Rao CV and Singh RH (2010) Medico-Ethnobotany of ‘Chatara’ block of District Sonebhadra, Uttar Pradesh, India. Advances in Biological Research, 4(1): 65–80. Surya Surendren P, Jayanthi G and Smitha KR (2012) In vitro evaluation of the anticancer effect of methanolic extract of Alstonia scholaris leaves on mammary carcinoma. Journal of Applied Pharmaceutical Science, 2(5): 142–149. Willis JA, Scott RS, Brown LJ, Forbes LV, Schmidli RS, Zimmet PZ, MacKay IR and Rowley MJ (1996) Islet cell antibodies and antibodies against glutamic acid decarboxylase in newly diagnosed adult-onset diabetes mellitus. Diabetes Research and Clinical Practice, 33(20): 89-97. Yamagishi S and Matsui T (2011) Nitric oxide, a Janus-faced therapeutic target for diabetic microangiopathy-Friend or foe? Pharmacological Research, 64(3): 187–194.